I believe that learning to write in cursive is very important even though some may disagree with me. Our children will have access to more technology than we ever did growing up, but there are times when their signature will be required. Handwriting may not be their favorite subject, but it will serve them well later in life. 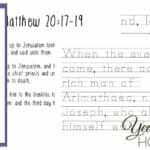 I’ve learned throughout our homeschooling journey that the best way to encourage my children to work on their handwriting is to give them activities that teach them something important. 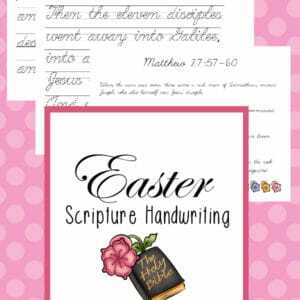 This Easter you can encourage your students to learn how to write in cursive neatly with this Easter Scripture Cursive Handwriting Pack! 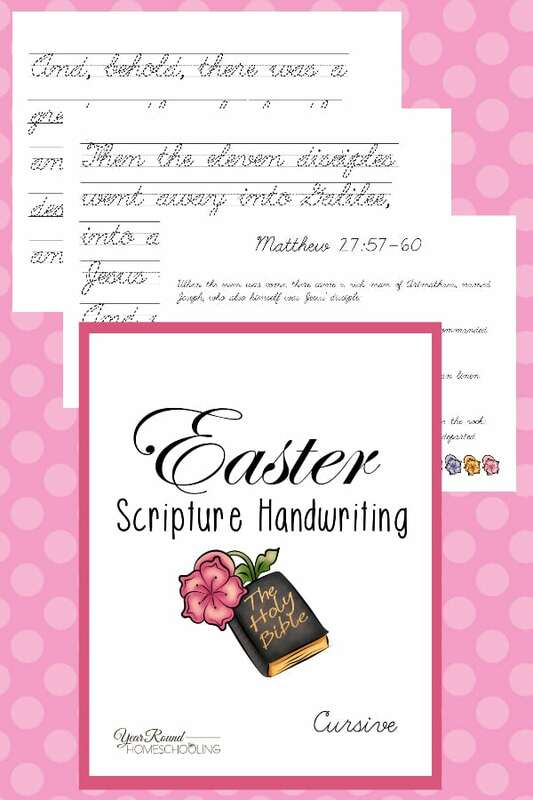 If you have younger students, you’ll find a PreK-Kindergarten Easter Scripture Handwriting Pack for them here and a Manuscript pack here! Yes to cursive! Yes to meaningful writing! It really is the best way to work on handwriting! Cursive is important and if we’re not careful it will become a skill of the past.